Jani Toivola is Finland's first black parliamentarian (2011-2019). The new series in progress ”The Firsts”, researches historical and systematic racism and its debilitating effects on members of the contemporary African Diaspora. The suppression put upon this community has hindered equitable societal and economic developments, which are linked directly to White supremacist thought and action. ”The Firsts” suggest that this hindrance is the reason why today it can still be possible to be the ‘first black person’ to achieve specific goals across many fields of practice and countries. Some individuals have courageously paved the way for future civil right actions still to come, and institutionalized racism and prejudice in its execution within the western paradigm has been successful in holding people back, or their achievements have not received the deserved recognition and acknowledgment. The Firsts is also dedicated to persons from the African Diaspora that have migrated to various European countries in the 19th and 20th century. The first portrait I made is of teacher Rosa Emilia Clay (1875-1959) who was one of the first known African woman to arrive in Finland in the late 19th Century. In 1899 she became the first person from the African continent to be granted Finnish citizenship. 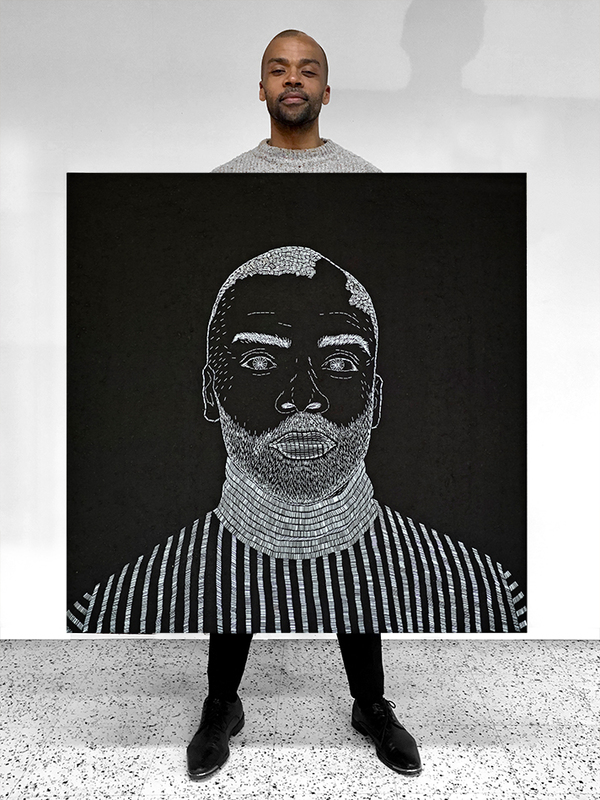 The second portrait was made in honor of James Baldwin (1924-1987) and his time spent in Switzerland, while being the first black guest at the little village of Leukerbad in the Valais Alps in Switzerland at times between 1951-53. His partner at the time, the Swiss painter Lucien Happersberger (1932-2010), invited him to his family house Burg Hüsli to focus on completing his first novel ”Go Tell it on the Mountain”. The portrait is in the public space made directly to the building he inhabited in Leukerbad.